Moroccanoil Sun collection offers a smooth and lightweight formula combining argan oil with UVA/UVB protection while delivering instant hydration for your face, body and lips! 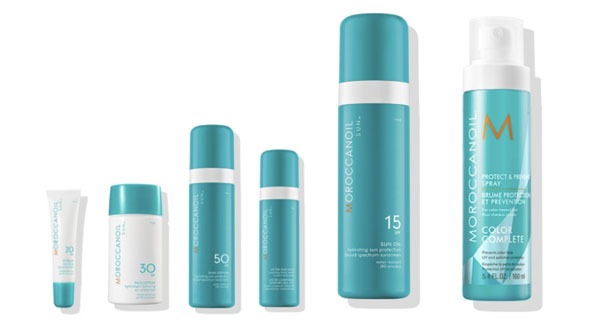 In addition to their sun care collection, I wanted to be sure the new Moroccanoil Protect & Prevent spray was on your radar as it also formulated with sunscreens that absorb damaging UV rays to protect your hair. The multitasking product not only shields your hair from environmental aggressors that weaken the hair, it helps keep hair color vibrant and works to avoid color from fading or becoming brassy.